Visiting Finland is like stepping into a refreshing shower on a hot day! Even in the capital, Helsinki, the air is clean and the countryside has a cool yet seductive beauty. Culturally, Finland is a unique mix of East and West. Not really Scandinavian, nor a part of the Baltics or Eastern Europe, Finland is the black sheep of Northern Europe. Famous for Santa Claus, Nokia and saunas, Finns actually enjoy sitting in a heated box and, upon reaching boiling point, running outside and rolling in the snow! Somewhat of a national institution Finland has over 1,400,000 saunas, and enjoying one is an experience you should not miss out on when you’re visiting! Although known for advancements in technology and progressive urban solutions, many Finns spend their free time in touch with Mother Nature. A land of contrasts, Finland is made up of 60,000 lakes and rivers, over 100,000 islands and is 69% forest. All of this makes for a lot of room to retreat to the countryside to enjoy hiking, trekking, Nordic walking, cycling or even cross-country skiing. Finland is a country of great change with the seasons experiencing different rhythms of living. Spring is green, explosive and energetic. Summer is a long, warm celebration of light and blue sky (known as Midnight Sun). Autumn is cool and crisp. A quarter of Finland's territory lies within the Arctic Circle and the midnight sun can be experienced for more days the farther north one travels. At Finland's northernmost point, the sun does not set for 73 consecutive days during summer, and does not rise at all for 51 days during winter. Our self-guided cycling holiday in Finland operates between June and August to make the most of the warmer weather and midnight sun. The Turku Archipelago is one of Finland’s most stunning natural phenomena - 20,000 islands stretching out into the sea from the city of Turku in the southwest part of the country. Cycling a circular route around the main islands is made easy, and exciting by a system of local and free ferry services, most of them constantly going back and forth, acting like bridges. 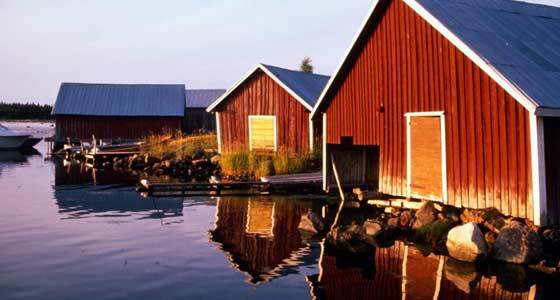 Experience the peaceful nature of meandering by bike around rural Finland, the enchantment of the sea, the beauty of the inner islands, wholesome Finnish cooking and picturesque harbour villages.